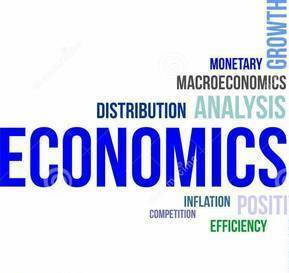 Basic Concepts of Economics In Simple Language-Economics is a tough nut to crack for many – GDP, GNP, NDP, NNP, Repo, Reverse Repo, SLR, CLR, CRAR – there are many concepts to be understood. But if the concepts are properly understood economics is fun. currentshub.com is trying to provide an overview of the basic concepts of Economics in a simple language for easy understanding. The main areas covered are – national income, monetary policy, fiscal policy, and balance of payments(BoP). Under the broad topic of national income you may hear terms like GDP, GNP, NNP etc. GDP: Gross Domestic Product (GDP) is the total money value of final goods and services produced in the economic territories of a country in a given year. Total value of goods and services produced in India for 2014-15 is projected to be around 100 lakh crore Indian rupees or around 2 trillion US dollars at current market prices. This is the value of Indian GDP when expressed at current market price. GDP stands for total value of goods and services produced inside the territory of India irrespective of whom produced it – whether by Indians or foreigners. GNP: Gross National Product (GNP) is the total value of goods and services produced by the people of a country in a given year. It is not territory specific. If we consider the GNP of India, it can be seen that GNP is lesser than GDP. Monetary Policy refers to the policy of the central bank. In India Reserve Bank of India (RBI) is responsible for monetary policy. Repo, Reverse Repo, CRR, SLR etc are part of monetary policy. REPO rate: REPO means Re Purchase Option – the rate by which RBI gives loans to other banks. Bank re-purchase the securities deposited with RBI at the REPO rate. Present rate is 8%. Reverse REPO rate: RBI at times borrows from banks at a rate lower than REPO rate, and that rate is known as Reverse REPO rate (now 7%). REPO and Reverse Repo are two major options under LAF (Liquidity Adjustment Facility). Marginal Standing Facility (MSF): MSF is the rate at which scheduled commercial banks could borrow money overnight from RBI against approved securities. Borrowing limit of banks under marginal standing facility is 2 percent of their respective Net Demand and Time Liabilities (NDTL). Bank Rate: Bank rate is a higher rate, (1% higher than REPO rate) charged by RBI when it gives loans to commercial banks. Present bank rate is 9 %. Bank rate is different from MSF in the nature that Bank rate is long term, applies for all commercial banks and there is no limitation like 2 percent of their respective Net Demand and Time Liabilities (NDTL). CRR: CRR corresponds to Cash Reserve Ratio. It corresponds to the percentage of liquid reserves each banks have to keep as cash reserve with RBI (in their current accounts) corresponding to the deposits they have. Banks will not get any interest for these deposits. Present CRR is 4%. SLR: SLR (Statutory Liquidity Ratio) corresponds to the percentage of liquid reserves each banks have to keep as cash reserve with themselves corresponding to the deposits they have. Banks have to mandatory keep reserves corresponding to SLR locked with themselves in the form of gold or government securities. Present SLR is 22 %. The main difference between CRR and SLR is that banks need to keep CRR with RBI, but SLR with themselves, but locked. CRAR: Capital to Risk Weighted Assets Ratio is arrived at by dividing the capital of the bank with aggregated risk weighted assets. The higher the CRAR of a bank the better capitalized it is. Fiscal policy refers to the policy actions of the Government. Budget, tax, subsidies, expenditure etc. forms part of the fiscal policy. You might need to understand various deficits like Fiscal Deficit and Primary Deficit as part of Fiscal Policy. Fiscal Deficit (FD): The fiscal deficit is the difference between the government’s total expenditure and its total receipts (excluding borrowing). In layman’s term FD corresponds to borrowings and other liabilities. Current Account Deficit (CAD): Current Account is the sum of the balance of trade (exports minus imports of goods and services), net factor income (such as interest and dividends) and net transfer payments (such as foreign aid). Current account deficit in simple terms is dollars flowing in minus dollars flowing out. A deficit in the capital account means money is flowing out the country, but it also suggests the nation is increasing its claims on foreign assets. In other words at times of Capital Account Deficit, foreign investment in domestic assets is less and investment by the domestic economy in foreign assets is more. If you need to know more about BoP, refer our notes on Balance of Payments.